And it's not as if he was super unlucky - McCutchen's .304 batting average on balls in play in 2018 was just a point lower than the previous year. McCutchen also pulls the ball a lot - you'll see plenty of hard grounders directly at the third baseman or shortstop - but he's not as easy to defend. 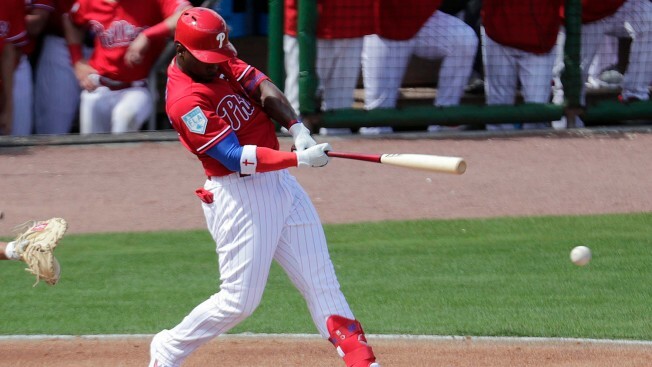 That is a theme of this new-look Phillies lineup - with McCutchen, Jean Segura and J.T. Realmuto there will be fewer strikeouts, fewer extremes in hit location and more pressure placed on the opposing defense.